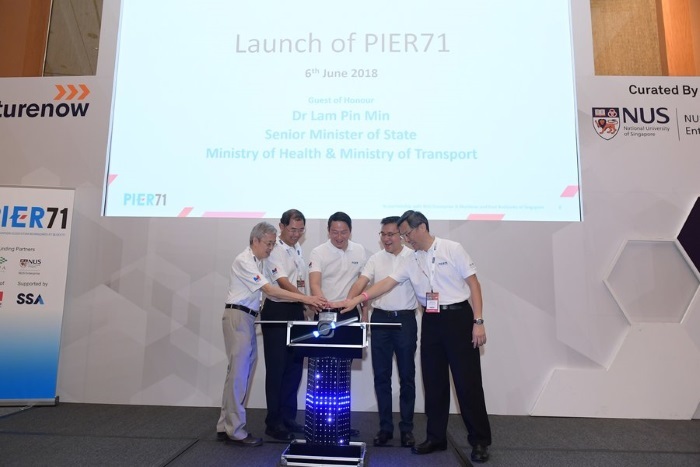 PIER71 – Port Innovation Ecosystem Reimagined @ Block71 – was officially launched by Dr Lam Pin Min, Senior Minister of State, Ministry of Transport and Ministry of Health. The Smart Port Challenge (SPC) 2018 was held in conjunction with the launch of PIER71. 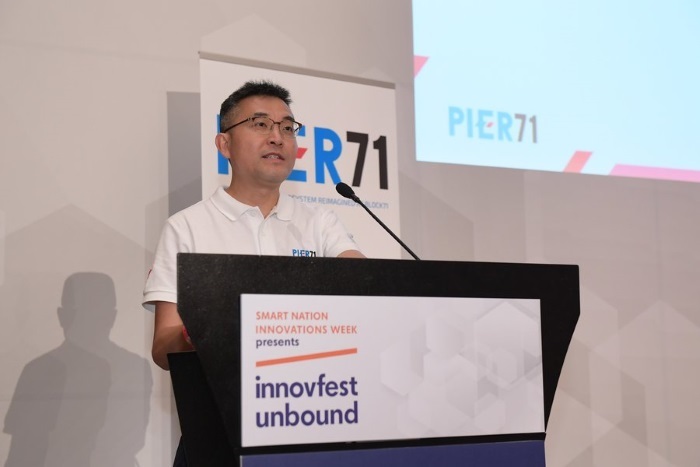 Both the launch of PIER71 and SPC were organised as part of Innovfest unbound 2018 . In the spirit of encouraging innovation, four MOUs were also signed at the event, to provide start-ups with more support in their innovation journey. 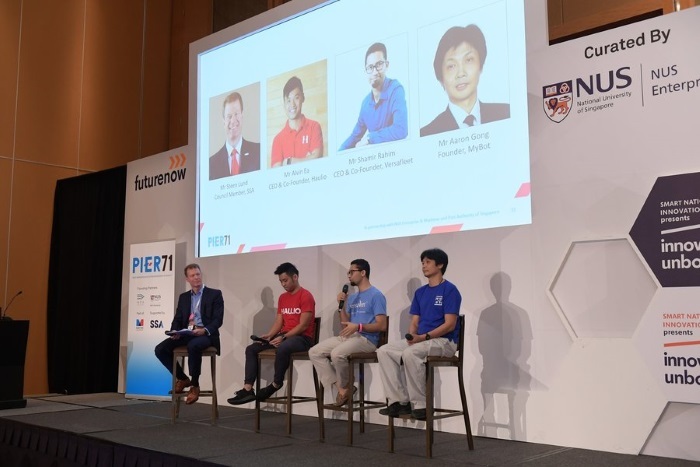 PIER71 is an industry-wide acceleration programme that supports innovation and encourages the maritime industry to venture into new growth areas through collaboration with technology start-ups. Set up by MPA and NUS Enterprise, the entrepreneurial arm of the National University of Singapore, PIER71 provides a platform for foreign and local companies, start-ups, venture capitalists, and mentors to exchange knowledge and form organic partnerships. 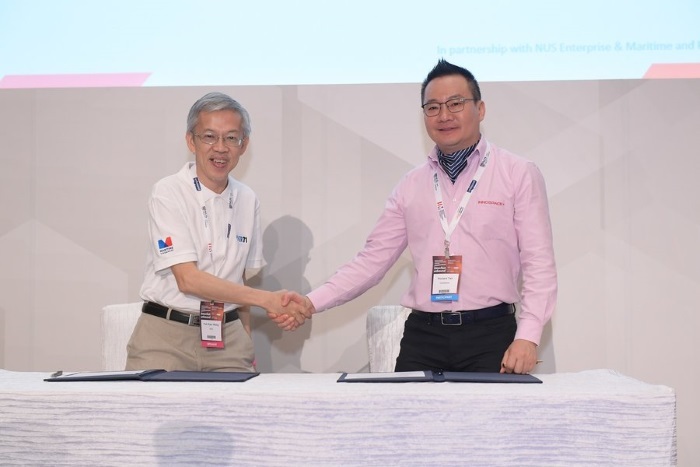 It will contribute to building a vibrant maritime entrepreneurial and innovation ecosystem, as envisioned by the Sea Transport Industry Transformation Map, and sharpen Singapore's competitive edge. PIER71's first innovation workshop, run by MPA, was for a cohort of digital officers from 23 maritime companies. The workshop, which successfully concluded on 15 May 2018, covered the development of systematic processes for identifying and quantifying innovation opportunities, and equipped digital officers with the skills to translate innovative ideas into tangible outcomes for maritime companies. 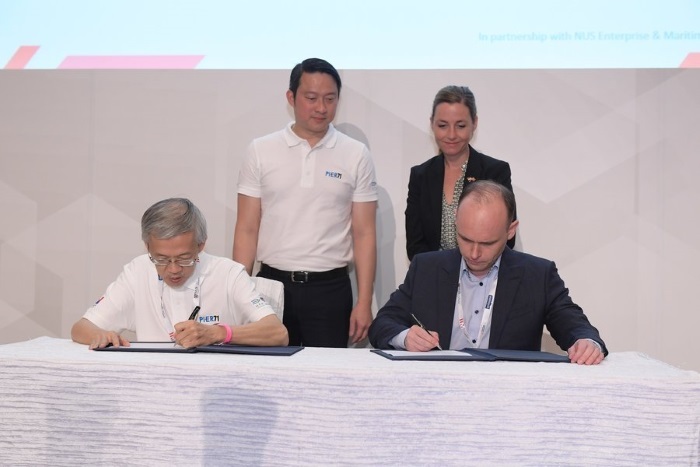 To provide start-ups with more opportunities and access to resources such as mentors and networks, NUS Enterprise also extended its support to PIER71's start-ups by signing four new MOUs with start-up hubs INNOSPACE and Rainmaking Innovation, as well as maritime companies Wärtsilä and Wilhelmsen (See Annex A for more details on the MOUs). 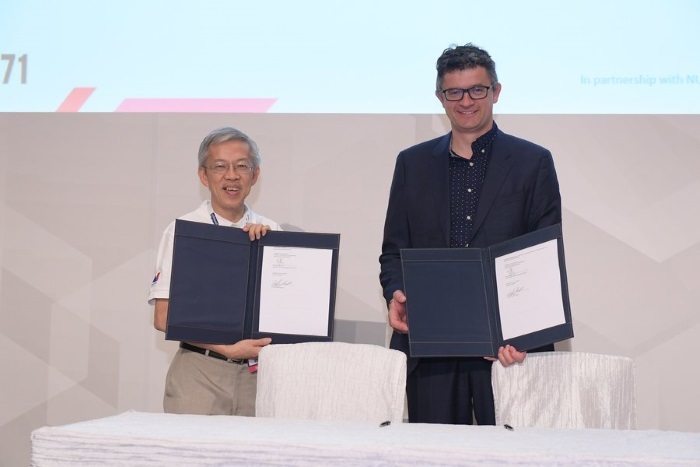 This is in addition to an earlier MOU with PortXL to provide start-ups with market access in Rotterdam and Singapore. 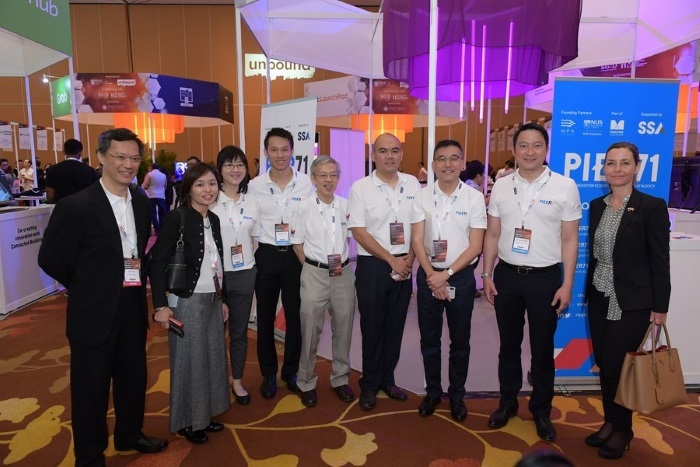 PIER71 also kicked off this year's SPC – a six-month programme that aims to catalyse digital transformation in the maritime industry by bringing together maritime and technology players to work on identified problem statements. Like other start-up incubators and accelerators, the SPC consists of three phases: challenge statement formulation, funding support and product realisation. Last year's inaugural SPC saw 12 maritime companies participating. Seven start-ups – Brightree, Glee Trees, MyBot, SG Smart Tech, Simplus, Trabble and Xjera Labs – received grant support totalling $311,598 for test-bedding and developing prototypes with the Singapore Shipping Association, Jurong Port, BatamFast and Kanlian. The number of maritime companies participating and contributing innovation opportunities in SPC 2018 has increased to 17 this year and PIER71 expects a total of about 200 participants. Besides cash prizes of $10,000, $5,000 and $3,000 for the top three proposals, selected finalists also stand a chance to be invited to join PIER71 ACCELERATE, a customised curriculum on building viable maritime tech start-ups, and receive a further grant of up to $50,000 from MPA to develop prototypes with maritime companies. These innovation opportunities will be released on 6 June during Innovfest unbound, and the closing date for proposals is 6 August 2018. All local and foreign start-ups are encouraged to participate in SPC 2018. itime companies. The number of maritime companies participating and contributing innovation opportunities in SPC 2018 has increased to 17 this year and PIER71 expects a total of about 200 participants. Besides cash prizes of $10,000, $5,000 and $3,000 for the top three proposals, selected finalists also stand a chance to be invited to join PIER71 ACCELERATE, a customised curriculum on building viable maritime tech start-ups, and receive a further grant of up to $50,000 from MPA to develop prototypes with maritime companies. These innovation opportunities will be released on 6 June during Innovfest unbound, and the closing date for proposals is 6 August 2018. All local and foreign start-ups are encouraged to participate in SPC 2018. Mr Andrew Tan, Chief Executive MPA, delivering his speech. Group photo at the PIER71 booth at Innovfest unbound. Fireside Chat on the topic “Maritime Singapore Charts New Seas with Start-ups” with Mr Alvin Ea, co-founder of Haulio, Mr Shamir Rahim, founder of VersaFleet, Mr Aaron Gong, co-founder of MyBot. The chat was modederated by Mr Steen Brodsgaard Lund, Chairman of Technical Committee of Singapore Shipping Association & Regional Director (Asia), Radio Holland. 07/06/2018 12:00 - The New Sea Lock – what’s happening in June?